Does so in front of posters of Ipswich, Tranmere and others. 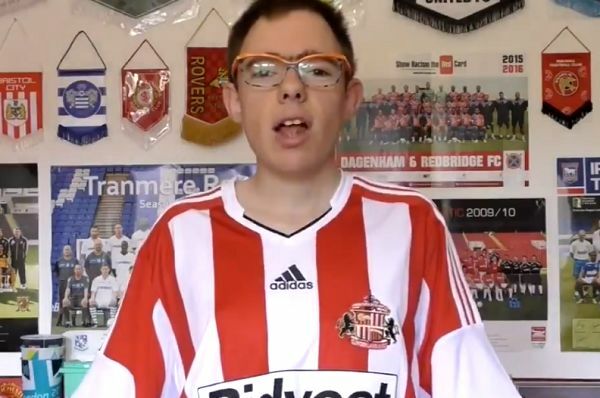 This fan filmed himself singing the Sunderland Bootboys song while wearing a club shirt – but it’s still not clear if he’s a Black Cats supporter or not. The uncertainty stems from the visibility of Manchester United, Ipswich Town and Tranmere Rovers posters on the wall behind him, along with other clubs’ insignia. There was even further confusion as the Twitter user who shared the clip had to clarify that he was not in fact the person in it.